Hey all I just upgraded to the EBC 310mm floating rotors for my F2.... I'm going to have to fabricate brackets for the calipers to fit anyways, So I just figured I would see about upgrading to 4 piston calipers. Ideally I would like to stick with Honda Nissins off either f4, 900/929/954. Haven't taken measurements yet but anyone done anything like this? Any insight is appreciated. Stick with F2 stuff. Make the brackets to use those 310mm rotors and be done with it. 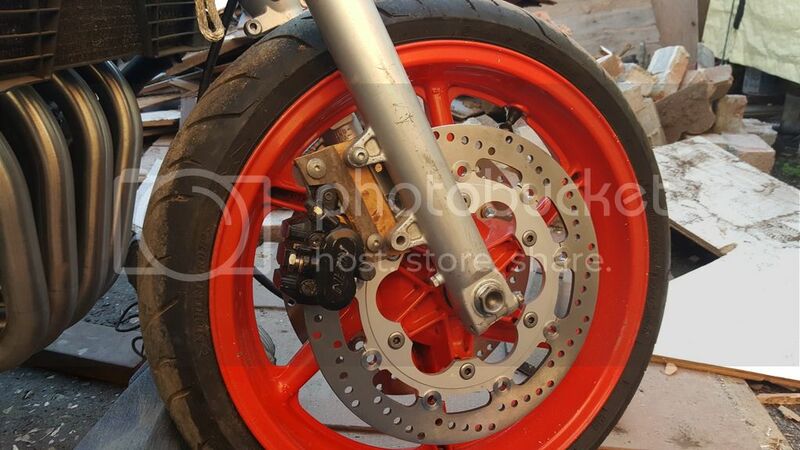 Or just mount the complete front end from a CBR 1000rr on your F2. I don't want to swap to different Forks especially considering I already have the better 94 forks with race tech Springs/etc & not to mention all that hassle of swapping the whole front end and the speedometer bull ****. I'm not saying I am going to be able to get 4 pots, but if I can find one for really really cheap I might see if I can make it work. And even if I don't swap the calipers, I'm still rebuilding the originals with new seal kit & HH pads as always. Last edited by 92CBR600F2 Supersport; 11-27-2016 at 12:24 AM. I gonna take a wild guess and say the F4 caliper mounting holes have different spacing than F2 caliper mounting holes so the EBC brackets probably wont work. Not to mention the offset. But you never know til you try. The caliper mounting holes on the F4 calipersare narrower than the F2 but that doesn't matter because they don't make the EBC brackets anymore so I'm custom fabbing up my own. I have some old 1997 900rr calipers that have the same bolt spacing that I can use as a reference until I get the f4i calipers. But I started making some very basic mock ups so I can mount the f2 calipers in the mean time. 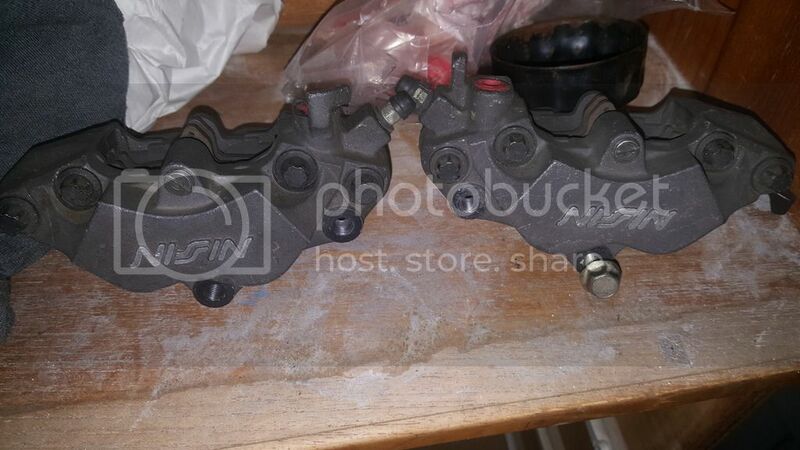 So I'm getting the newer cleaner looking f4i/929/954 calipers....should look good when done. I appreciate your enthusiasium. 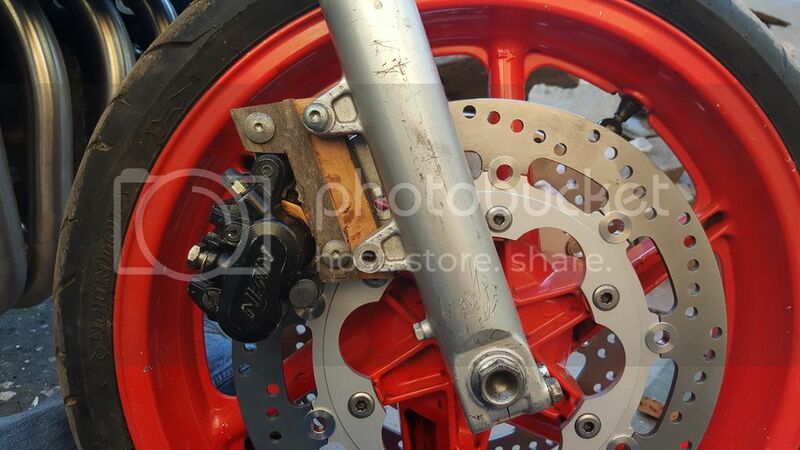 My Ferodo brackets bolt on the the outside of the fork and caliper. The homemade ones I made are 1/2" flat aluminum and 3/4" spacer for the offset, which is the same thickness as the fork mount, of course. I sent you a PM. My brackets are going to be replicas of the F2 EBC brackets, or very similar to them when done. I'm going to take my measurements to my buddies shop & make a blueprint. He has a 3D program & a 3D printer. We're then going to make a set out of plastic with the 3D printer to start. 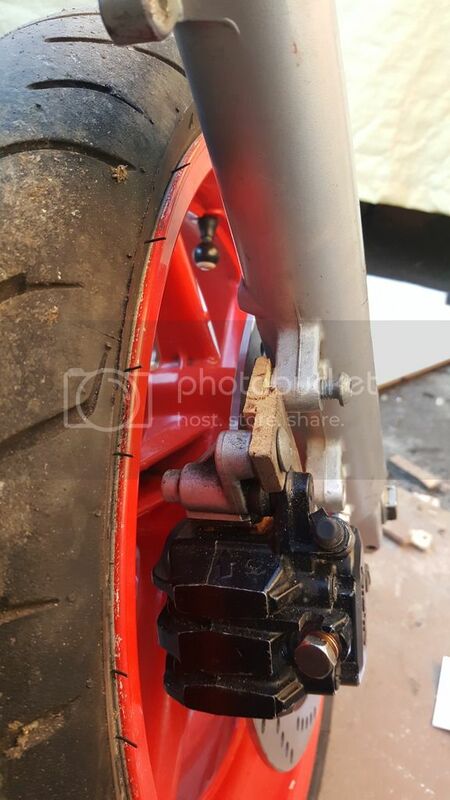 Quick Reply: 4 pot calipers with 310mm rotors?